Pasta dishes are always a crowd pleaser. 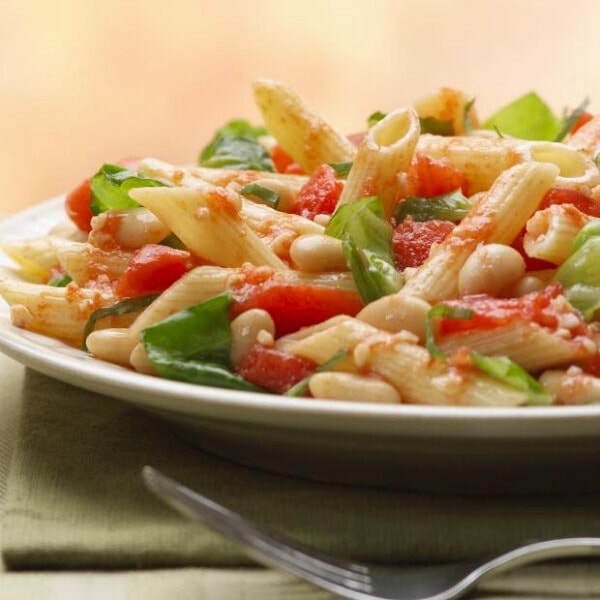 This recipe uses whole wheat pasta, beans, and vegetables, which all increase the fiber. Meals that are high in fiber are more diabetes friendly and heart healthy. Make this meal even healthier by adding more veggies of your choice, like broccoli or spinach! Add garlic and cook until slightly browned (less than a minute). Add escarole; stirring occasionally until wilted, about 2 minutes. Add beans, tomatoes with their juice and wine. Season to taste with salt and pepper; stir in basil and heat through.